VON ORMY—The opening of a new Dominos Pizza franchise is usually not front page news, but it is when it is the first to provide home delivery service in a rural area. The pizzeria which opened in September and is located at 6335 Old Pearsall Road now delivers to the city of Von Ormy, Atascosa and the surrounding areas. Mamma Mia! Delivery hours are 10:00AM to midnight on Sunday thru Thursday and 10:00AM to 1:00AM on Friday and Saturday. 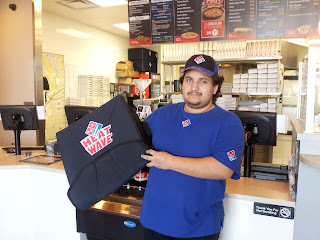 Just call 210-278-9909 and enjoy the convenience of home delivery.